On top of ole smokie people are dumb. The quest to make things retard proof continues! 13 dollars. I think. But don’t quote me on that. Erg, depressed is the right term, I laugh at a lot of stupidity – but when it goes this far it makes me a little sad. Sweet. More people = discount. I can totally sympathize with the sign-maker. “THIS MANY,” and then he flips them off. Oh man! That’s prolly true and is even sadder. 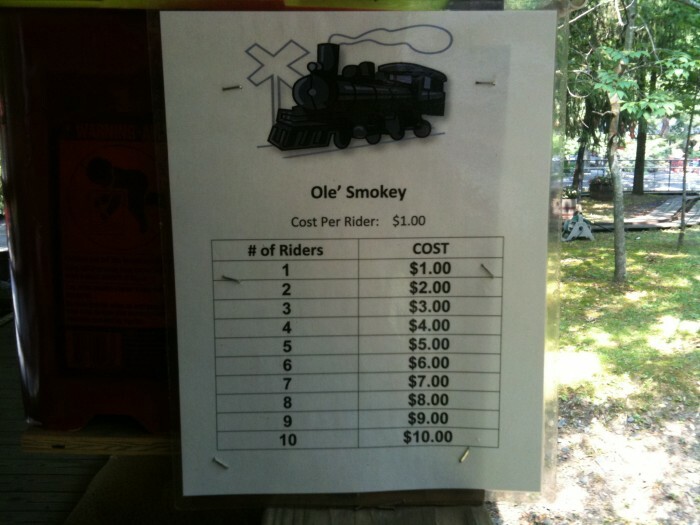 Now I really want to ride Ole’ Smokey!